Welcome to Splatter Elf Flash. A weekly (bi-weekly?) dose of flash fiction from my Splatter Elf world. If this little slice of fiction entices you, be advised that you can currently buy my first official short story in this universe “The Unicorn-Eater” at this very moment! The Breadhammer stories will be a serial of short sections that I’ll post periodically. So if you’re interested in his quests, then keep an eye on this blog for the short entries. 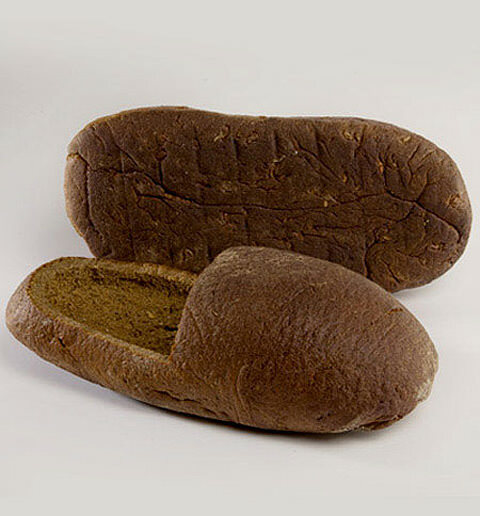 Put your bread shoes on and let’s go on an adventure! The golem lumbered forward, swinging his breadly fists at Breadhammer’s face. He dodged and slid about, careful not to let the golem too close. Dirja cackled as the golem cut Breadhammer off at every venture. It moved remarkably fast for a creature made entirely of bread. “What horrid magic is this?” Breadhammer cried, swinging his maul at the golem. It slammed into its knee, but did little but crack the hard as hell crustiness. “Eat a roll!” Breadhammer hurled a rock hard roll at Dirja, smacking the sorcerer right in the teeth. “Yar!” Dirja screamed, spitting blood and fumbling back. His eyes were wide with shock. The golem punched Breadhammer square in the bread basket, all the air whooshing out of his lungs. He gasped, but he couldn’t get his breath back. Like a nymph stole it and ran away. While he was thinking poetic things, the golem smashed him across the face. Breadhammer’s helmet flew off, leaving his vulnerable head exposed. Without his bread helmet, the golem would surely cave his head in. Flailing his maul wildly, Breadhammer tried to get some distance between he and the golem. It did no good. The golem continued to advance. The warrior would have to use his noggin. Despite his maul being his bread winner, he couldn’t rely on it this time. “You’re too flaky to stop me, Dirja!” Breadhammer spun on his heels and ran towards an overturned cart. Stay tuned to this blog for the continuing adventures of Breadhammer. I appreciated the generous helping of cheese with that bread. Awesome stuff! Keep it up, Mr the Drill. Thanks! Breadhammer never gets old…unless he’s left out for too long.